SkyTeam is the second largest airline alliance in the world behind Star Alliance. SkyTeam is an alliance dedicated to providing you greater flight options, efficient customer service, and enhanced benefits. 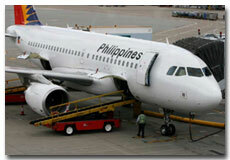 It deals its services with 11 member airlines and 16,409 daily flights to 841 destinations in 162 countries. SkyTeam also operates a cargo alliance called Sky Team Cargo with all current SkyTeam members except for Continental Cargo. SkyTeam Round the World program provides you with the right product for exploring the world in the easiest and most economical way. The member of the airlines offer 4 Round the World products focusing on flexibility and service. In 2005, SkyTeam was the world's best airline alliance, according to the readers of Global Traveler Magazine and in 2007, Business Traveler Magazine named the SkyTeam to have the Best Airline Alliance Program. Sky team has 11 member airlines and 16,409 daily flights to 841 destinations in 162 countries. The 11 SkyTeam member airlines and the 3 Associate Airlines jointly offer a new range of products and services that makes your global travel easier. You accrue elite qualification miles on all valid SkyTeam airline flights. You can redeem your miles for award tickets on any SkyTeam airline. You have access to most privately own and operated SkyTeam partner airline lounges worldwide when flying First Class or Business Class internationally. You earn miles toward Elite status and redeem on any member airline. You have access to up to 400 member lounges worldwide. SkyTeam provides a guaranteed full Coach/Economy Class reservation for SkyTeam Elite Plus members with 24 hours advance notice. It provides total 16,409 flights and 841 destinations worldwide. It provides check-in once when connecting to other SkyTeam airline flights. Earn SkyMiles credit and redeem miles for mileage awards on any SkyTeam or SkyTeam Associates airline. You are guaranteed quality SkyTeam service on all member airlines. You can reserve and get information at any of SkyTeam's 2,100 ticket offices. Additionally, worldwide passengers can go to any of the SkyTeam partners for assistance. SkyMiles Medallion members are automatically a member of SkyTeam Elite or SkyTeam Elite Plus. You can make a reservation or get information on SkyTeam schedules and fares by visiting the airline website link mentioned below. You can also contact any SkyTeam partner call center, city ticket office or airport ticket office to get flight information and published fares as well as confirm reservations for any partner airline. Russia, please call +7 (495) 753 5555 or 8 800 333 5555. Germany, please call 0180 37 55555. For customer service within Mexico, please call 01-800-021-4050. For reservations and customer service within the U.S., please call 1-800-237-6639. For information or reservations within UK, please call 0845-0845-111. For information or reservations within Germany, please call 0180 5 830 830. For information or reservations within the US, please call 1-800-237-27-47. Rome and from mobile phones, please call 06-65.643. From anywhere else in Italy, please call 8488-65.643. For information or reservations throughout USA, please call 1-800-223-5730. U.S. and Canada, please call 1-800-523-3273. U.S. and Canada, please call 1-800-221-1212. For reservations within UK, please call 08705-074074. For reservations within the US, please call Northwest Airlines Toll free: Dom:1-800-225-2525. International:1-800-447-4747. Reservations throughout Korea, please call 1-1588-2001. In North America, please call 1-800-438-5000. In European countries please call toll free 00-800-0656-2001. U.S. and Canada, please call 1-800-225-2525. For international reservations, please call 1-800-447-4747.